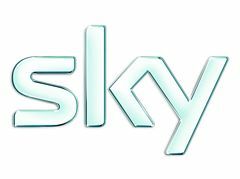 SC Productions are currently casting for the pilot episode of a new Sky 1 series entitled 'Our Man'. The series focuses on Alf, his wife Andrea and his mistress Dee. Having cast a major name in the male lead, we are currently looking for two fresh young actresses to launch via this series. Successful applicants will be invited for auditions on Saturday the 7th of July in London. The shoot will take place in August 2012 and will be paid at the standard equity day rate. Andrea is beautiful and serene, yet fiesty and full of passion. Despite her vast beauty, she finds her husband losing interest in her and volunteers to allow him an affair before feelings of inadequacy and awkwardness threaten to destroy her sanity. She then begins and aggressive campaign to win her husband's sole affections back. Dee is a 23 year old model, struggling to make ends meet when she encounters a rich, handsome and awkward married man. She begins an affair with him, with his wife's blessing. As the affair progresses, she finds herself wanting to be the main object his affections and begins pursuing a less superficial relationship.